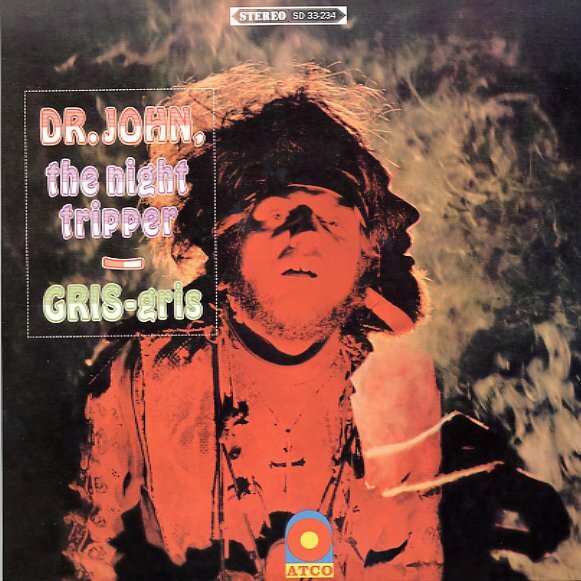 The great Dr John at his freaky deaky best – working here in a mindblowing mix of New Orleans roots and late 60s psych – all served up in some heady studio space and instrumental touches! The sound's unlike anything that ever went before – and is way better here than on some of John's later, straighter material – clearly the work of years of creative genius, as the Doctor, Mac Rebennack, draws on both his heritage from the Crescent City, and his years of work in the underground rock scene in LA! Harold Batiste handled the arrangements – and the record really paves the way for so many famous LA/New Orleans albums to come in the 70s – but never with results this mindblowingly trippy. The tracks are wild, funky, and messed-up New Orleans R&B filtered through a heavy dose of psychedelics – and titles include "Mama Roux", "Croker Courtbullion", "Gris Gris Gumbo Ya Ya", and the original version of "I Walk On Guilded Splinters". © 1996-2019, Dusty Groove, Inc.